Repository: The New York Public Library. Photography Collection, Miriam and Ira D. Wallach Division of Art, Prints and Photographs. 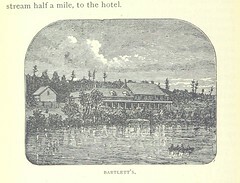 Similar view as illustration in "The Adirondacks, Illustrated" by Seneca Roy Stoddard, courtesy of the British Library.